MACHINEDRUM/SUN RA Views Of Saturn Vol 3 vinyl at Juno Records. 1. Machine Drum - "Door Of The Cosmos"
1. 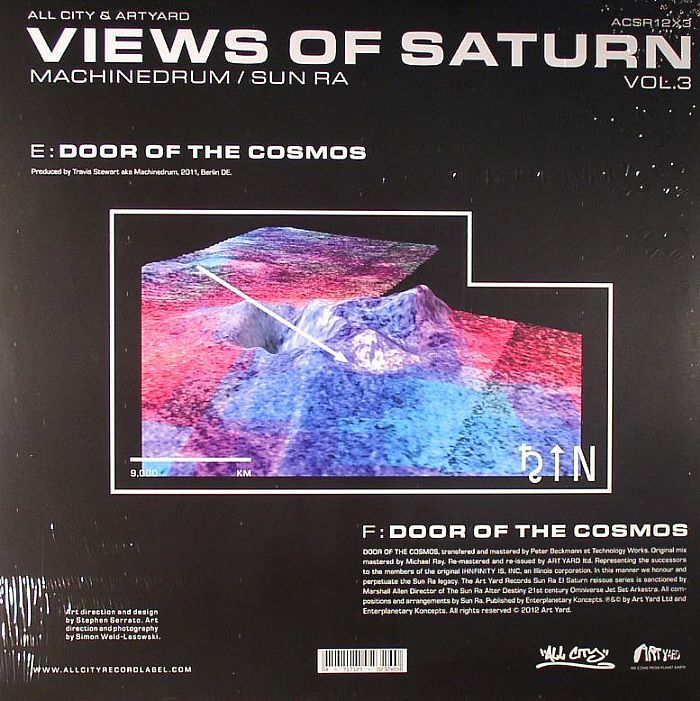 Sun Ra - "Door Of The Cosmos"
All City finally drop Machinedrum's contribution to their ongoing Sun Ra tribute series - Do not sleep! The Vision of Saturn series is perhaps the most overt example of the Dublin label's fondness for conceptual releases, reissuing material from the sizeable Sun Ra archives and pairing it with reworkings from a diverse cast of contemporary minds. 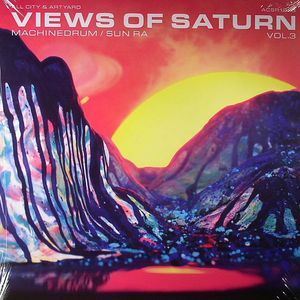 As good as previous editions from hip hopper and the sadly deceased Austin Peralta were, this penultimate contribution from Machinedrum really lives up to the unrelentingly original source material . The Berlin based artist uses elements of two Sun Ra tracks - namely the classic "Door Of The Cosmos" and "Mu" - in one remix. The resultant "Door of The Cosmos" is a radical example of his hyper-kinetic footwork style rhythms, sounding like a free-jazz freakout from the sessions that went into making his last album Room(s).